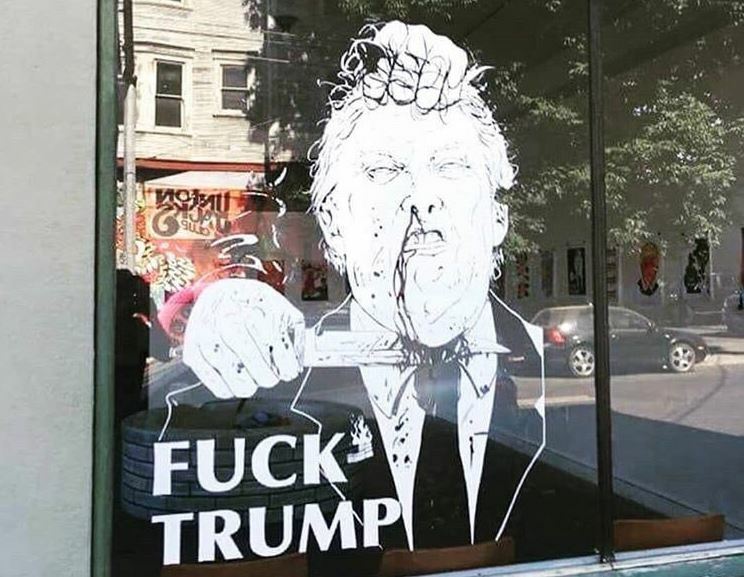 This week a Portland art gallery chose to display in its front window, facing the sidewalk at a busy intersection, a large black-and-white painting depicting the grisly decapitation of President Donald Trump. The painting is more than just another example of what a grotesque travesty modern artists have made of art. It is also a window into the left’s bloodlust and why progressivism is the totalitarian soulmate of Islamic fundamentalism.